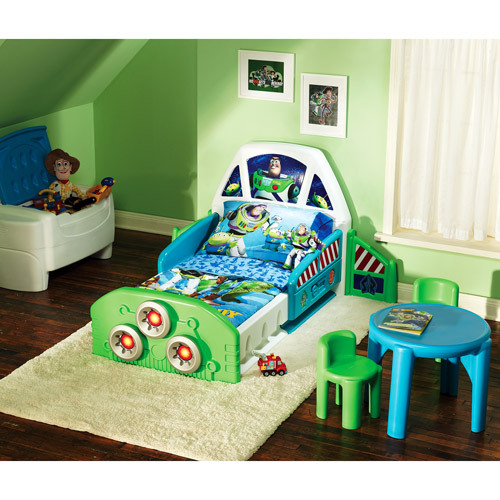 You have a kid who likes toy story animation movie, so you can decorate his bedroom with this nice toy story concept. 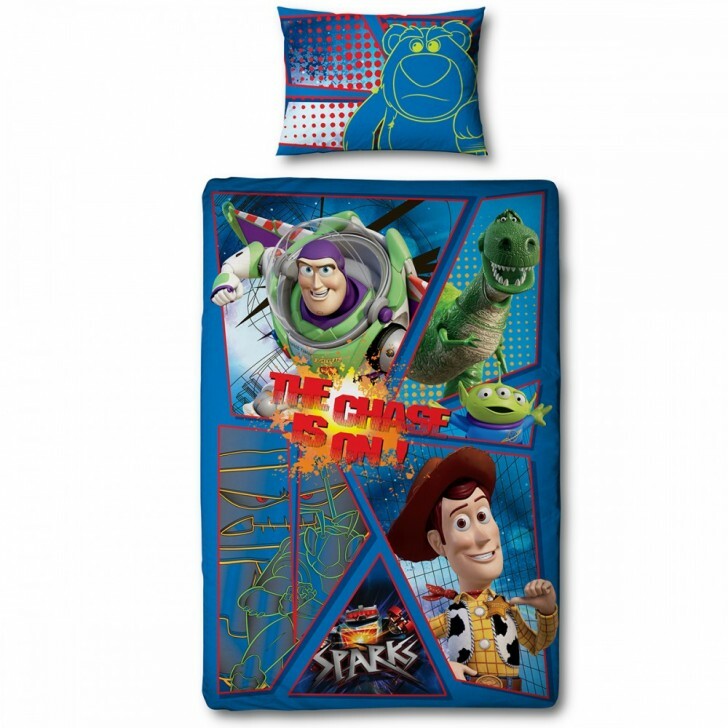 For example, you can choose bed sheet with picture of Buzz and on the pillow as well. 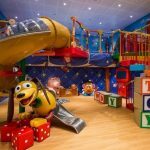 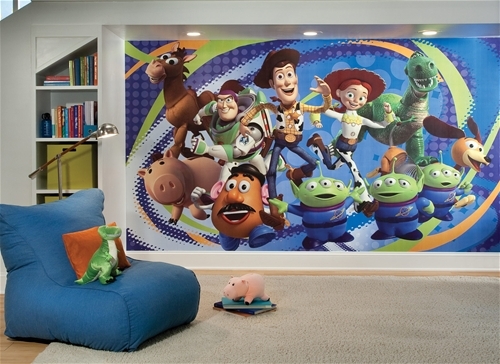 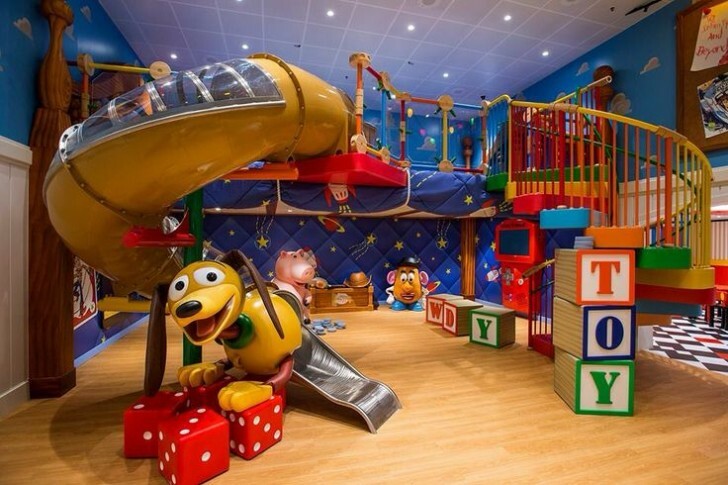 There are many more the concept of toy story that can be applied to decorate your kid’s room. 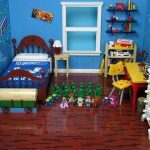 In this article the writer would like to share some of those concept designs that may become your inspiration. 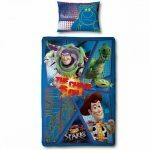 Let us see the first sample of this amazing toy story bedroom decoration for kid’s room. 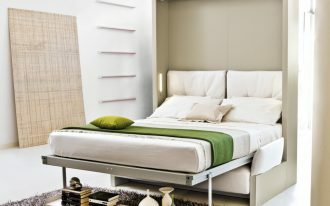 You can see in the picture there is a small bed which its frame is made of plastic and has color of green and blue nuance. 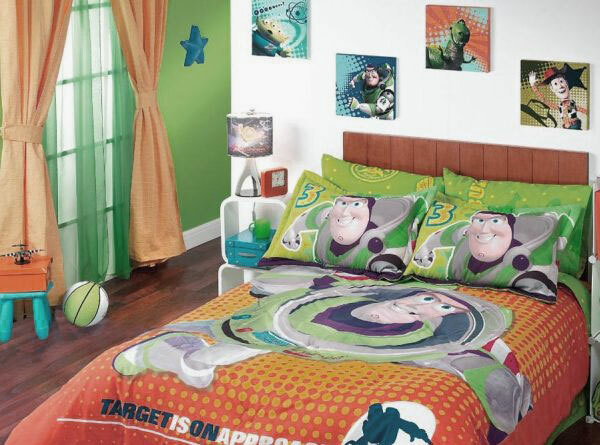 There are pictures of Buzz on pillow and Rex on the bed sheet. 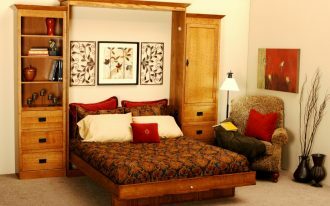 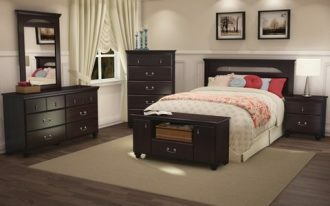 This bed also has Buzz headboard with large design. 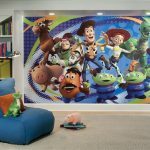 Instead of bed decoration, this toy story decoration concept can be applied for wall decoration. 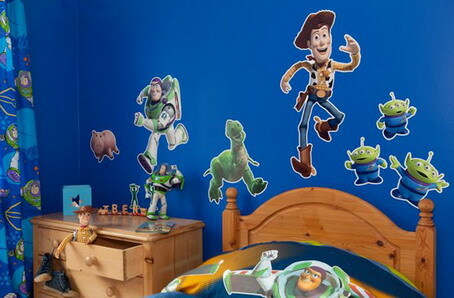 As you can see in the picture, there are some pictures of Woody, Buzz, and Rex on the wall. 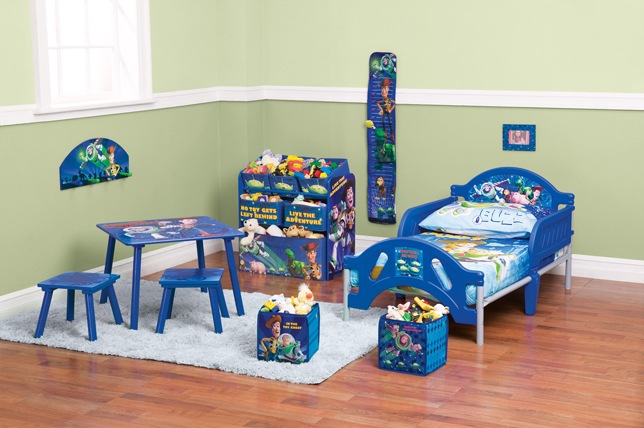 This wall is also painted in blue and looks so wonderful. 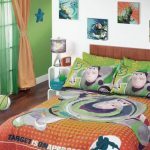 What about furniture that has picture of Buzz? 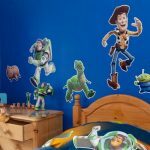 Well, it looks so amazing though, as you can see it in the picture where a closet has nice decorated door with the picture of Buzz. 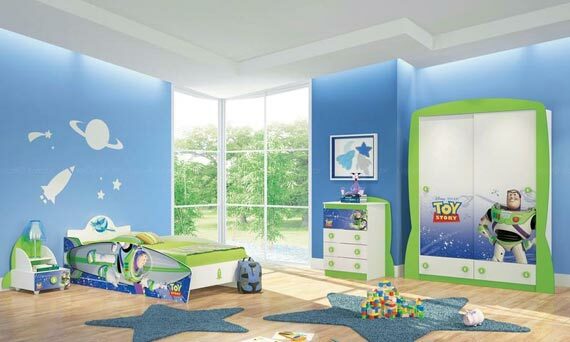 This closet has white and green coloring with nice blue wall coloring design as well. 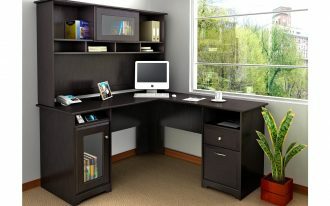 There is also small cabinet with some drawer and it has the picture of Buzz as well. 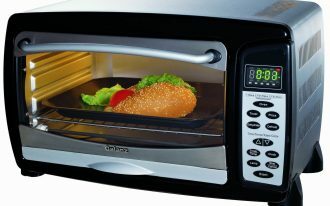 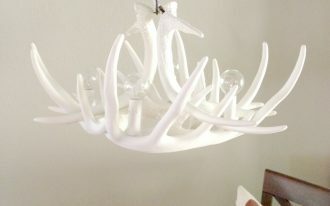 You might see the best one which has nice wall picture decoration. 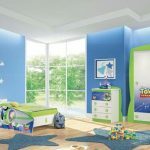 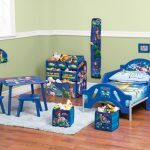 This bed room has wall which is painted in blue background and has pictures of Woody, Buzz, Bo Peep, Rex, and many more. 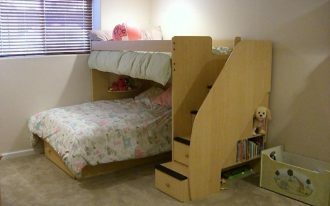 This concept of bedroom for kid is adorable concept and very modern.